Vedic Astrology | Vedic Astrology guru | planetary stones | Astrology Gemstones. Jupiter is the magnanimous planet – the Guru. 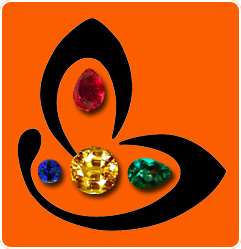 Also known as Brihaspati in Vedic Astrology, he signifies all things fortunate and auspicious. 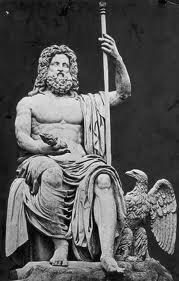 He is said to be Zeus, the famed father of Gods according to Greek mythology. 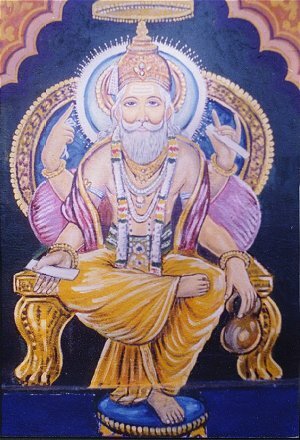 Jupiter is the largest planet in our solar system and his depiction in mythology has been of one with enormous strength, big build and authority. Jupiter symbolically represents expensiveness. This does not just go on to signify size but also to expansive living – wider horizons, broader perspective, not constrained by limits, much more freedom and surely a lot of wisdom and good fortune. The esoteric astrological symbol of Jupiter is presented below. It resembles the mathematical numeral 4 but is actually an amalgamation of a crescent and a cross. Among sacred symbols, the crescent signifies the soul and the cross signifies the body that must bear the cross of matter and material form and desires. 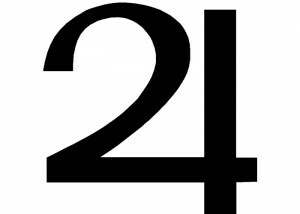 Jupiter as a planet gives the human form the most expensive, richest way of manifestation. It combines the utmost goal of the soul with a fulfilling, life enriched by fortune and wisdom and leads on to the ultimate path. It is instrumental in a large way in ensuring a blessed existence. It is a planet of plenty, ensuring one’s needs of all kinds are cared for! Life when it has not taken shape is conscious, when takes birth is self conscious and once it sees the truth is super-conscious! And it is Jupiter and its grace that can direct as well as speed up the souls journey into merging with the super consciousness. Meditating upon this symbol can be an uplifting experience and open up new vistas for an individual. Featured today is a beautiful natural and treatment free Ceylon yellow sapphire of 2.38 carats set in 22 karat yellow gold as a Jupiter talisman. The Ceylon yellow sapphire is a cushion cut with a coveted canary yellow color and superb clarity. The gemstone is lustrous and is a fine example of a good jyotish gem.Note that the symbol of Guru/ Jupiter stands in relief in the shanks of the ring in 18 karat white gold.Natural yellow sapphire also known as pukhraj/ pushyaraag is the gemstone of planet Jupiter/ Guru/ Brihaspati. The yellow sapphire is always set in the precious metal yellow gold befitting Brihaspati’s status as the mentor of the gods, the royal priest!